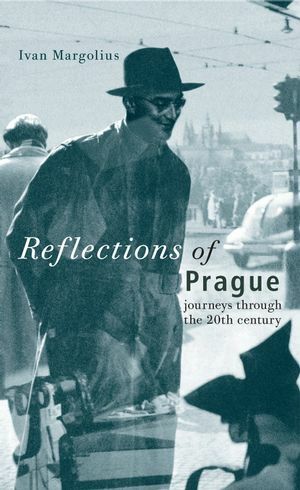 Reflections of Prague is the story of how a Czech Jewish family become embroiled in the most tragic and tumultuous episodes of the twentieth century. Through their eyes we see the history of their beloved Prague, a unique European city, and the wider, political forces that tear their lives apart. Their moving story traces the major events, turmoil, oppression and triumphs of Europe through the last hundred years – from the Austro-Hungarian Empire to the First World War; from the vibrant artistic and intellectual life of Prague in the times of Kafka, the Capek Brothers and Masaryk to years of hunger in a Polish ghetto and the concentration camps of Hitler; from the tyrannous rule of Stalin to the rekindled hopes of Dubcek and the subsequent Soviet occupation to liberation under Havel. Told from Ivan’s perspective, it is a poignant but uplifting tale that tells of life lived with purpose and conviction, in the face of personal suffering and sacrifice. Ivan Margolius was born in Prague, where he began studying architecture at the Czech Institute of Technology. In 1966 he arrived in the United Kingdom and completed his training, before practicing at Foster and Partners, Skidmore Owings & Merrill, and Yorke Rosenberg Mardall. He is the author and co-author of many award winning historical, architectural and design publications, including Prague – a guide to twentieth-century architecture, Tatra – The Legacy of Hans Ledwinka, Art + Architecture, Architects + Engineers = Structures and Czech Inspiration. He is the son of JUDr Rudolf Margolius, who was murdered as a results of the infamous Slánský Trial in Prague. 1. Journey with my Lost Father. 3. The Safety of Bratislava. 7. Heda: Life’s Endings and Beginnings. 12. A Stumble out of Auschwitz-Birkenau. 14. From Idealism into Self-Destruction. 16. Stranded in the Forcefully Distorted Economy. 22. In the Name of the Party. 25. The Theatre of Absurdity. 26. A Trip to the Land of No Return. 30. A Walk from School. 32. The Emergence of Truth.